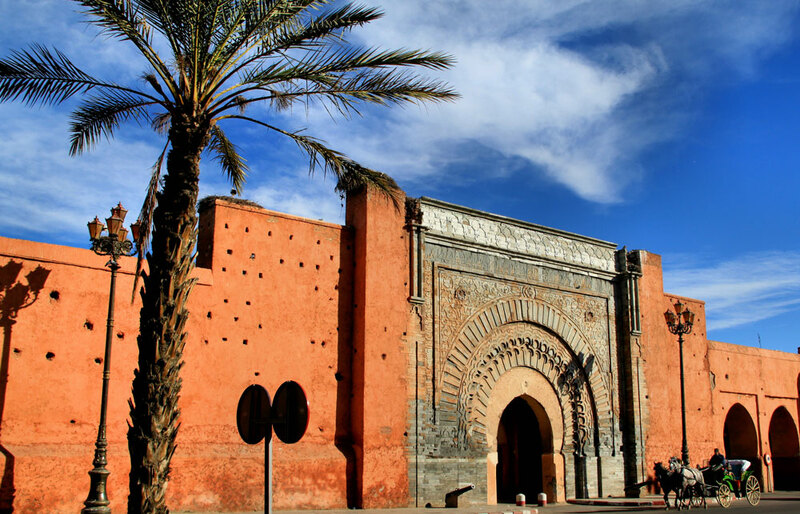 Like Meknes, Rabat and Fez, Marrakech bears the title of Imperial City and was even the first capital of the kingdom. But Marrakech has much more to offer than a picture postcard and it is not limited to its souks! Marrakesh requires time to reveal its magic. It is worth living in the local thanks to the indications of a tourist guide on Marrakech. Set with its ramparts adobe, the millennial city delivers its treasures at every street corner where we discover the craftsmanship, the splendor of Hispano-Moorish art or the tranquility of the lush garden of a riad. It is also in this labyrinthine medina that life is in full swing and your sensory experience will be unique! 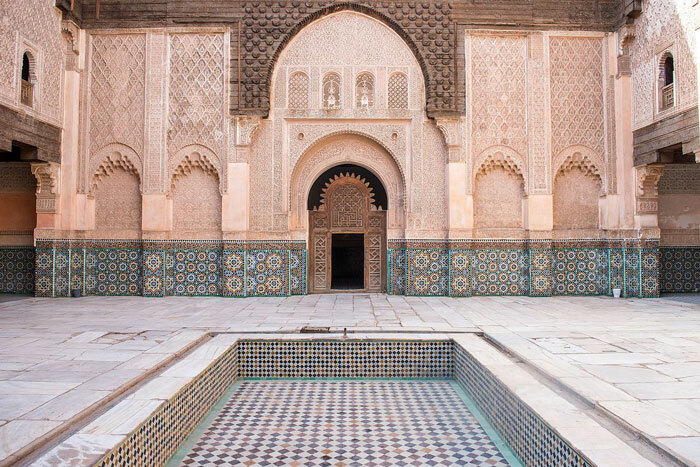 Marked by its past history, Marrakech has managed to combine tradition and modernity. In the new city, you will see the face of a trendy and cosmopolitan Marrakech. Its airy quarters and its gardens are worth seeing because, here too, authenticity is essential!Today with the help of a well-experienced guide and by asking him some questions , we will share with you some of the favourite things to do in Marrakech, so you can experience the living city behind the crowded attractions. Why did you become a guide ? -the ability to be the direct link between visitors and a place is incredible. Being their travel companion for a while makes you a member of their memory of this place. -It’s great to share anecdotes and personal stories with the group behind the places you visit to spark their interest. -Most importantly, you travel, explore the world, meet new people and new cultures and hang out in cities or countries that are dear to you. What do you love most about Marrakech? Oh, with what can I start ? Marrakech is a beautiful city, and there are many things I love about it. Summers can be harsh, especially when the hot, dry Chergui winds blow from the Sahara but are manageable for the most part. Winters on the other hand are largely mild. Relative to other Arab countries, Moroccans, especially Marrakchi are quite liberal and this translates to people being more welcoming so friendly, so warm, so caring to foreigners including those of African descent. There is no place for racial discrimination here … but like already stated they are more friendly than cold, relatively speaking. 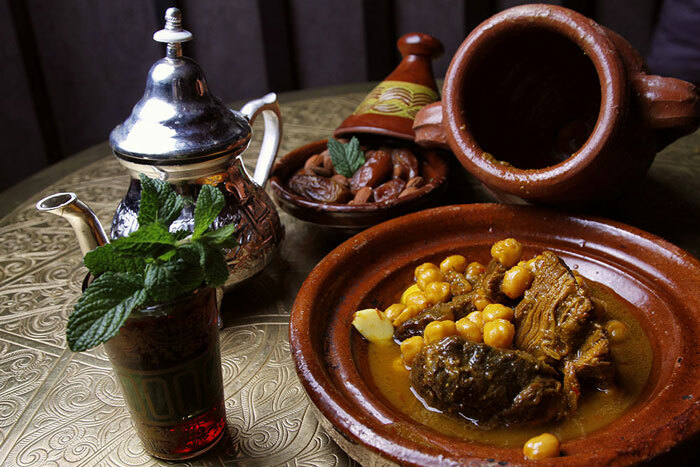 What’s one local food specialty everyone visiting Marrakech should try? According to tradition this dish is prepared only by men. Tanjia, like tajine, also takes its name from the utensil in which it is cooked. To obtain tanjia, beef or mutton is simmered for several hours in the ashes of a steam room or oven. Spices, meat and candied fruit mix their aromas in an earthen pot, which is usually unsealed in front of you. What is the best place to go for a memorable photo? I suggest the list of new places in Marrakech, where you can take pretty original photos. Whether you are a blogger, an addict of Instagram or you want to keep beautiful memories of the city ocher, in these places you can take wonderful and stunning photographs. -The Badii Palace is an old palace built under the order of Saadian ruler Ahmed El Mansour Ed-Dahbi, to celebrate his victory in confrontation with the Portuguese army. -The Majorelle Garden is without a doubt, one of the spots visited in Marrakech. It is a botanical garden located in the heart of the ocher city. -Souks of Marrakech: Marrakech is undoubtedly a tourist destination for a thousand and one reasons. 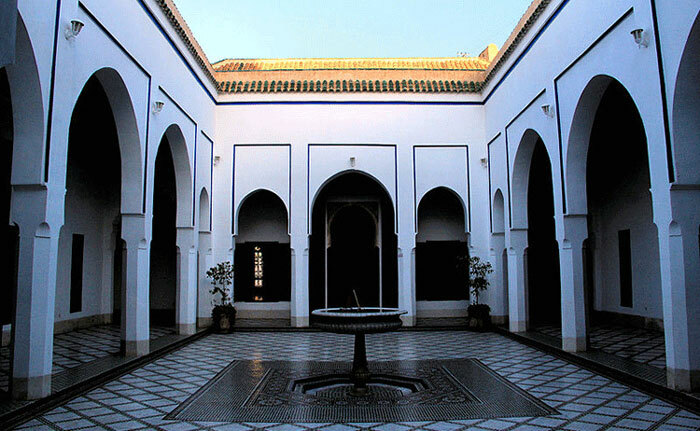 -Médersa Ben Youssef is a Koranic school that exists since 1570 in the heart of the medina of Marrakech. 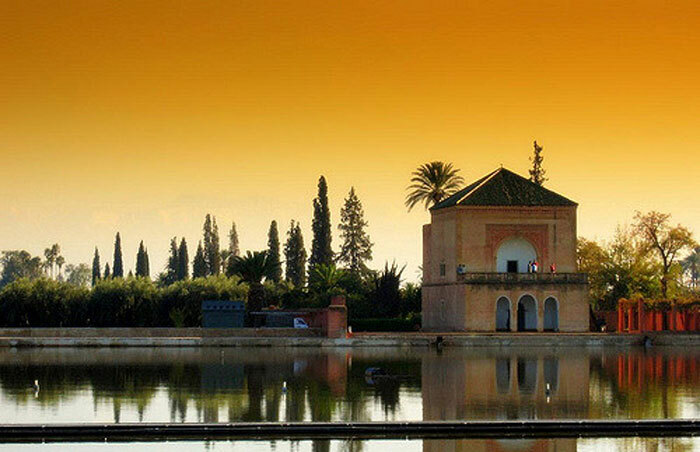 It is a must-see place that can not be ignored during a visit to Marrakech. What are the best places you advise tourist to visit in Marrakech ? Let’s start already with the ramparts of Marrakech which extend on nineteen kilometers and surround the old city: the Medina. They were built in the 12th century, in order to protect the city against the attackers. You will see that the walls are not smooth, but they have innumerable holes. Originally, these holes were those left by the scaffolding during construction and they once again closed. But the workers realized that the walls of the ramparts were more resistant to weather and climate when they were not blocked. That’s why nowadays we can see these holes! The greatest pride of Marrakchis, one of the most beautiful mosques in Morocco. We can see this building from the hinterlands. On the other hand, non-Muslims do not have the right to get in. A law established under the French protectorate at the beginning of the 20th century concerning all mosques in Morocco. 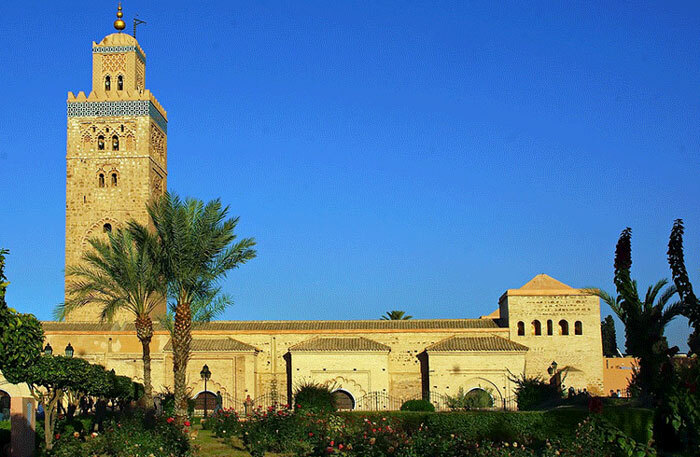 The Koutoubia mosque is considered as a Masterpiece of work ! It is a good place either if you want to have a cheap yet delicious dinner . It is a place steeped in history. You can still see the multiple student rooms on the first floor. Indeed some children came from all over the country to study the Koran. At the time, Muslims, if they wanted to study, they should know the Koran by heart before starting a school course. From the rooms you can see a magnificent cobblestone courtyard on the ground floor, with a fountain in the middle, carved walls and other intricacies. Very famous, it’s a must visit during your stay in Marrakech! It was a completely forgotten place, until the beginning of the 19th century, when a French aviator passed over this area. It is essential if you go to the Medina. You will not be insensitive to the architecture of the tombs, their mosaics, their sculptures, but also to the history that goes with it. It was built in the 19th century by the vizier of Sultan Moulay Hassan I. It was, in its time, the largest and most luxurious palace in Morocco. 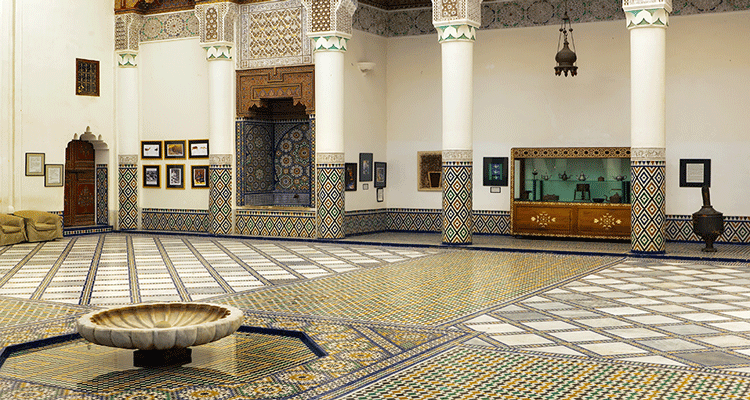 The architecture of this palace is one of the masterpieces of Moroccan culture. You can see a succession of sumptuous apartments, reception rooms, shady courtyards, gardens and fountains. The property is surrounded by an eight hectare garden. let’s move on outside the ramparts and see what we can discover ! It consists essentially of a large olive grove and a huge pool that was built in height, in order to train the Moroccan soldiers to fight in the aquatic environment. Nowadays, this basin serves as a reservoir for the water that comes down from the mountains, in order to water the garden. The basin is 160 by 200 meters. The name Menara comes from the small pavilion which is located at the edge of this basin. For my part, I found this visit very interesting for its historical side, however, this garden is also famous for its beauty. To see one of the most beautiful palm groves of Marrakech, you have to take the road to Fez. Take a camel ride in the palm grove. what happiness finding yourself there in the middle of these huge palm trees that have been there since the time of the nomads. Crossing the picturesque villages lost in the middle of the palm grove, is the most authentic view you can enjoy in Marrakech. On a full day, from Marrakech, you can go in 4 × 4 with guides on the Berber lands. Inquire at the tourist office for schedules and different circuits. The journey in general is about 140 kilometers and passes in different typical villages. Passing through Tifriouine for lunch, Ouiziln for learning how to make Moroccan tea, the plateau of Kik for sumptuous landscapes, you will have something to do during this excursion! 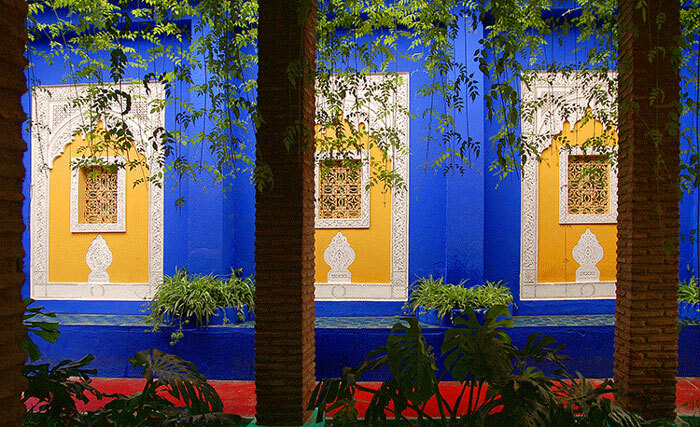 Located in the heart of the city of Marrakech, it bears the name of its creator Jacques Majorelle, painter and lover of botany. This is where the majorelle blue color comes from. This garden is one of the most mysterious of the twentieth century. It is a place of mystical strength and rare personal expression. It includes a superabundance of vegetation representing the five continents, which made Jacques Majorelle the largest plant collector of his time. Since then, this garden has been bought and restored by Yves Saint-Laurent and Pierre Bergé, whose foundation ensures sustainability. Today, the ashes of Yves Saint-Laurent himself rests in this space of purity. How to avoid getting Lost in Marrakech ? We will go back to basics. We are in a medieval town, that does not seem shocking. Basics include: A map (not necessarily so simple in Marrakech), a compass and for the posers what is called the “sense of orientation”. Step2 : You follow the axis taken by your route according to the lanes that you have in front of you. Step3 : You adjust”(readjust) adjustement is done at first place by identifying start and end point” your trajectory according to what it is possible or not. Example:Your axis is north-south, you go north. Your first alley follows your axis: Perfect. The second lane goes west, you follow it. A third alley is presented, it is oriented “north-south”: Perfect. A fourth alley is presented, it is oriented to the east.Either you continue north and you will turn east later, or you turn immediately to find your original axis before returning north to the next. This is where the sense of direction is a sacred plus. Marrakech is a child’s play. Do not sulk the pleasure of losing yourself and finding your way. Jemaa el Fna square easily marks the center of the Medina. Arrows on the main axes it(you have already ‘‘arrows’’ you can’t use “it”) tells you in which direction you must go. The Koutoubia Mosque marks the west of the Medina and Jemaa el Fna also. The minarets of other mosques depending on your accommodation. What’s your favourite place to celebrate a special occasion? If you love to celebrate special occasions with friends and family, there is a wonderful place just a few minutes from the medinas, it is Dar Tifrouine. If you arrive late in Marrakech and your accommodation is lost in the middle of the medina, do not worry, is not the end of the world, you can go directly to the police station and ask for help. If someone asks you where you are going, there is a good chance that as soon as you get there, you will be drawn into the alleys of Marrakech. It’s silly but when someone with whom you started the conversation goes ahead and you follow him. And since it is moving fast, you can not continue the exchange, you go behind a bit stupidly. If you are looking for a guide, follow it. If you are not looking for a guide, do not answer the original question. Or answer that you know where you are going. Firm and polite. As kind, affable and friendly at the time of the meeting, the guide will ask you for money. Most are greedy. You will be asked 50 or even 100 DH (5 or 10 euros sometimes more). It’s exorbitant. Between 5 and 20 DH is more than adequate if you really need a hand. Negotiation is more or less pleasant, also cut short and be firm. Tip: Make sure you have the amount you want to give before you reach your destination. To leave to the “guide” to make the exchange on a big break seems to me a little risky (I did not try). If the good Samaritan tells you that he will not guide you for money – which may be true – he will lead you to someone who will ask you for money: at tanneries or in a shop.